Tabu, Katrina Kaif and Aditya Roy Kapur starrer 'Fitoor' presents a soulful journey of love which is beautiful in terms of visuals, enigmatic in terms of situations, artistic in terms presentation and tad slow like a tortoise who eventually wins the race. Soulful love lying in the arms of tragedy happens to be as daunting as a person sleeping and smiling in a den. Noor (Aditya Roy Kapoor) justifies the feeling by playing character of a very talented sketch artist who is innocent and in love with Firdaus (Katrina Kaif). Noor, a Kashmiri boy from poor upbringing, falls in love with Firdaus who belongs to a rich elite family in Kashmir. Her mother famous as Begum (Tabu) separates both the kids to ensure her loyalty towards hatred for love against social divide. Few years later, Noor and Firdaus meet in New Delhi but situations have changed; love cannot be magical again as she is getting engaged to a Pakistan minister. But, here is a twist Noor’s love is still roaring high with an attitude – Chahie to chahie – as he says in the film. Noor’s journey to re-claim his love is awe-inspiring, grueling, passionate and slow. Though, the visuals have been crafted so well that it nowhere lets boredom take the front seat but still leaves ample gaps to disconnect audiences. Tabu is a star; she nails her act to perfection. She has given a performance which comes only with experience and talent. Be it begum of Kashmir or classy diva in London; viewers are bound to cherish her role in the movie. Aditya Roy Kapur and Katrina are whimsical but with Tabu on the other side they look customary. While the pairing is magical, the disappointment rests with underutilization of set based at heaven on earth. Being in Kashmir and not using much of it certainly restricts audience to the stars; this pulls down rising charisma of the drama. Interestingly, director Abhishek Kapoor has stitched it well enough to hide flaws in the script. The story is good but not as impressive as its presentation; all thanks to the power acts of the cast. On musical noted film is a treat. The music has already found its place in many chartbusters and their tempo rises when they get drizzled with the flow of the film. Arijit Singh’s Yeh Fitoor Mera and Amit Trivedi’s Pashmina are the highlights you would not want to miss at any cost. 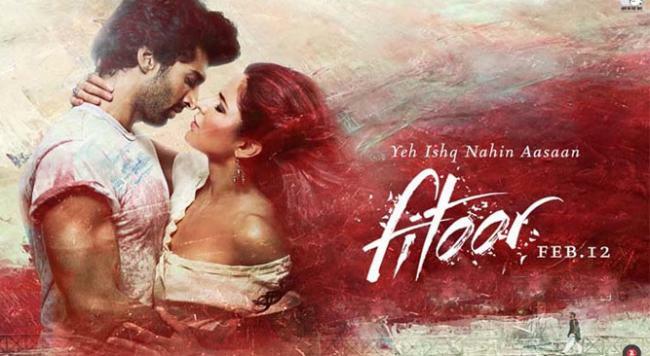 Final Verdict: Fitoor is a must watch for those who were craving for a power packed performance since long time. It’s soulful, melodramatic and slow but still comes with all reason to bag one time watch badge.